The richness of this natural area lies in its historical legacy and its delicious gastronomy. Livestock farming is the main activity in this charming land which shows their best to become a magic memory. The name of this zone comes from the Arab term Serna, translated as plain (open country). The actual translation from Spanish is ‘peaceful‘ and reflects the perfect name for this zone. The contrast between large granite, quartzite or slate plains and pastures where livestock graze provide a unique view. The holm oaks born in the low hills, and during Spring and Autumm they will turn into multiple colours. A wide variety of birds live here and we have the chance to watch them, mainly in Autumm. 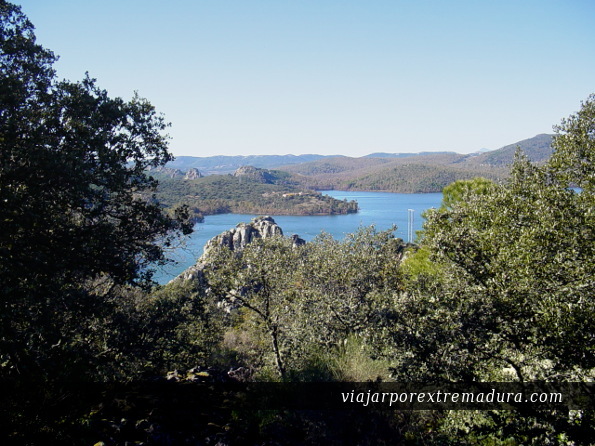 The big reservoirs at the East of Extremadura are also an real paradise for birds. There is a ZEPA (zone of special protection for birds) in La Serena, so it is aperfect place for birdwatching. The dam called La Serena is one of the biggest dams of Europe. Villanueva de la Serena is one of the natural doors to the the area through Ex-104 road. This is one of the most industrial developed cities in the area and in Extremadura. This circumstance coexists with its past History where the great amount of churches such as the Capilla del Santo Sepulcro, convents and stately homes like Casa de los Bolos o La jabonera. The visitor may contemplate the facades and these buildings while is going for a walk. Following the road Ex-104 we get at Campanario. This town is famous due to Virgen de Piedraescrita Pilgrimage. On Eastern Monday the inhabitants of Campanario celebrate this feast that has been declared as Celebration of Interest by the Regional Goverment of Extremadura. People become involved in the celebratiom addorning carriages with colourful elements and going out in them the day of the pilgrimage. We head towards South to reach the archeological sites in Quintana de la Serena and Zalamea de la Serena. 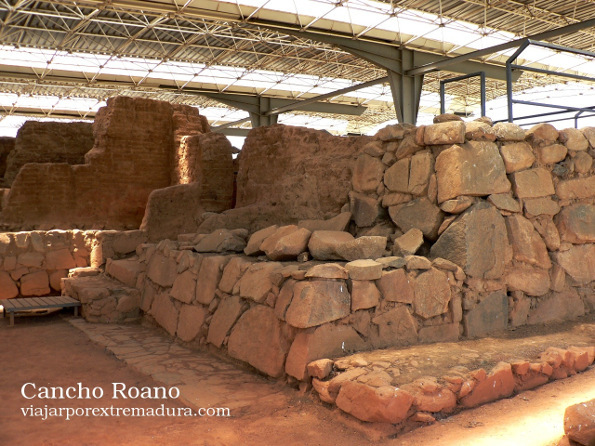 In Quintana de la Serena we can see the pre-roman settlement of Hijovejo. Zalamea de la Serena preserves its Tartessian legacy in Cancho Roano settlement.It is the best well-kept Tartessian archeological site in Spain. 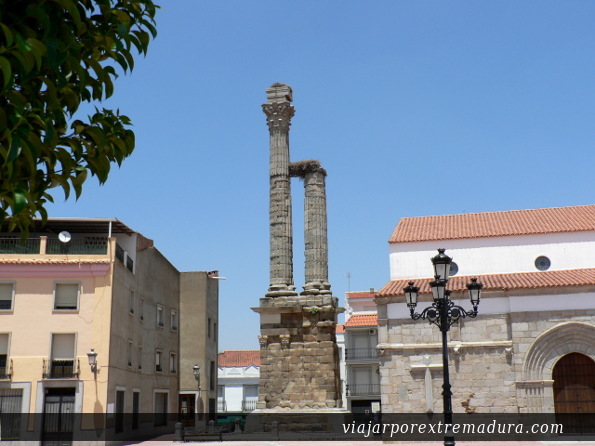 Just into the town of Zalamea de la Serena there is a Dystilo, a Roman column, 23 metres high. This is the one and only dystilo in Spain. Following Ex-104 road we reach Cabeza del Buey. On the road we may find Benquerencia de la Serena, La Nava or Helechal, these towns are full of narrow streets that invite to go for a walk through them, moreover their inhabitants welcome everyone who goes there. Cabeza del Buey. is a small town whose main activity are livestock farming and olive trees. Together with Monterrubio and Benquerencia they produces Aceite de Monterrubio, a special variety of olive oil. This town was under the rule of the Great Order of Alcantara. As a proof of this historical past stands out the great amount of religious buildings, or militar fortress like Almorchon Castle. Close to Cabeza del Buey we may find Peñalsordo, a small town well-knonw due to the Celebration of Interest Octava del Corpus. Here we may gain access to the great reservoirs in La Serena. Astonishing engineering works that intermingle with the extraordinary landscapes. It is getting late and nigth has come, the sky provides a beautiful view that worths to be contemplated from this country.